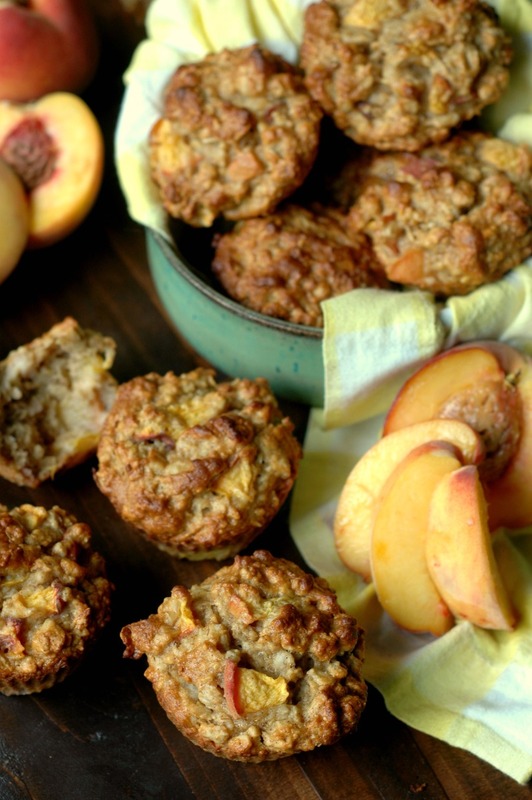 Portable, healthy, on-the-go gluten free peaches and cream oatmeal! You know…switching back into school routines. 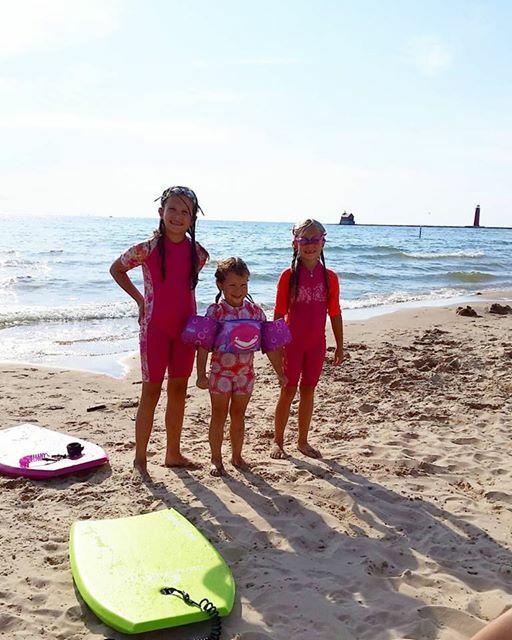 In just shy of a month, our lazy summer mornings, and sandy beach lunches will be swapped for out the door school morning breakfasts, and lunchbox noon meals! And I’m pretty serious when I say we are *slowly* switching gears, because summer is just so sweet where we live. We really are soaking in every last ray of sunshine that we can! A new breakfast idea to savor summer! We picked up a bushel of local peaches last week, and while I dreamed of peach sherbet, my practical side took over and decided to create something useful for busy school days using our peaches. 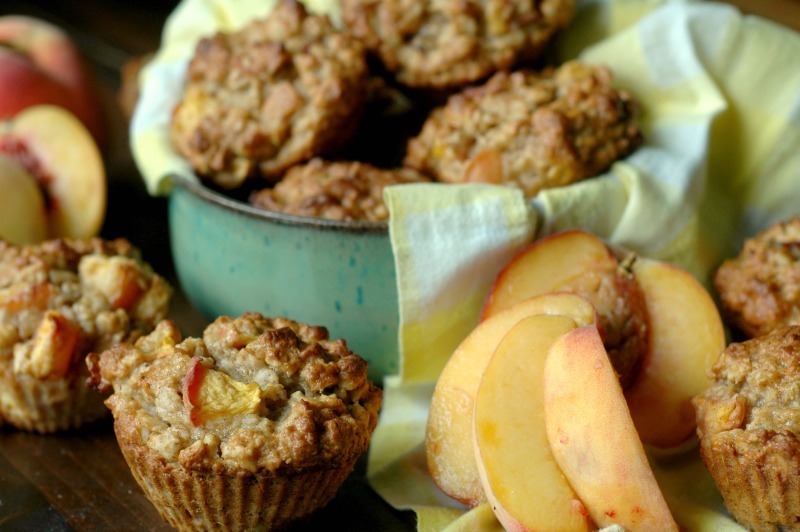 My plans for preserving our blueberries into blueberry granola for the pantry were spot on, and I have been tucking these little peach baked oatmeal cups into the freezer for a cool fall day when those fresh peaches are long gone! Every August, the girls’ favorite breakfast is peaches and cream oatmeal. Those warm bowls of oats drowning in fresh cream and sweet peaches is nothing short of amazing! 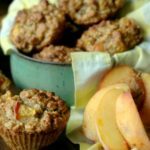 These baked oatmeal cups are like wrapping those bowls of peaches and cream oatmeal into a little hand held muffin cup, perfect for on the go and for tiny hands. I have a few swap thoughts, but if you happen to try some other flour blends, please comment below so others can see how they worked out! If you don’t have access to the Namaste gluten free flour blend, I’m sure most gluten free blends will work well. You could also try using a couple gluten free flours that you like to bake with and make your own blend. If you are a gluten free household, please be sure that your oats are gluten free as oats can carry traces of gluten from processing. I used coconut milk (this is my favorite gum/additive free brand, or I make it quick myself) and lemon juice to make “buttermilk” for soaking the grains. If you have a quality, well sourced buttermilk, you can use that instead, or use raw milk with lemon juice. To change things up, I did try one batch swapping the 1 cup of Namaste flour for 1/3 cup each of almond flour, coconut flour, and cassava flour. They turned out great, and it’s a great way to change nutrients up. I tried one batch with a few tablespoons of grassfed collagen in the batter to add another level of nourishment, and it turned out great. I know some do not have access to grassfed collagen, however, and for those friends, this recipe turns out just as good without the collagen. Whatever fruit is in season near you, I’m quite certain they will swap nicely! Here are some ideas, and let us know if you try any of them! 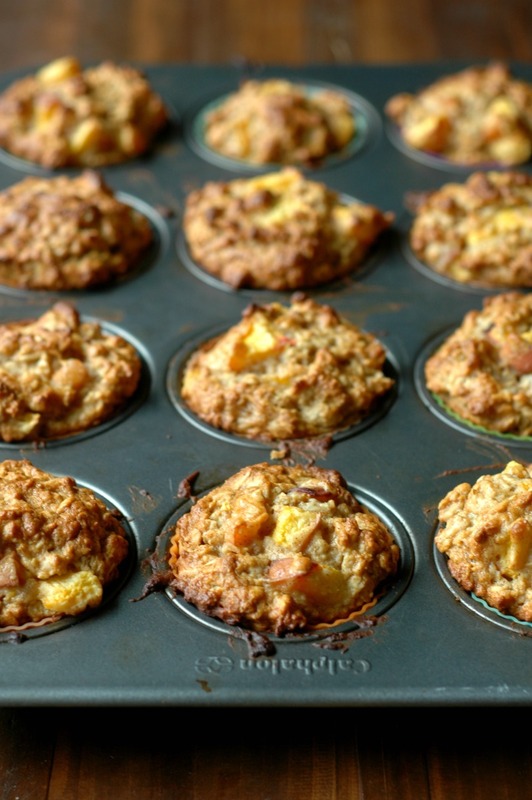 I mentioned I’ve been stashing some of these baked oatmeal cups away for school mornings, so I wanted to give you some tips on making that happen! Put the cooled muffins into a freezer bag and then into the freezer. 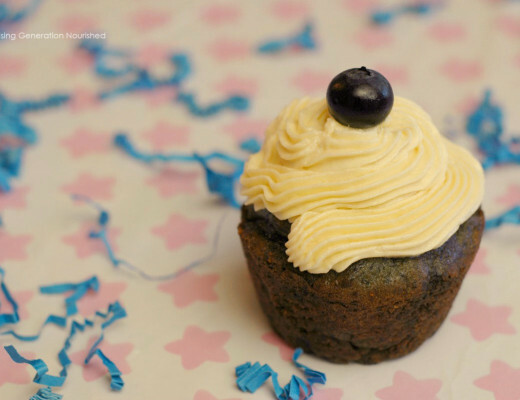 I would freeze them right away – same day that you make them. This locks in the moisture so they don’t get dry. So if you are making them for breakfast, eat what you need for the meal, and then freeze the rest. To thaw and warm back up, you have 2 options. You can thaw them on the counter overnight. Or you can pop them on a tray right from the freezer and set them in your oven. Turn the oven to 350 degrees and by the time it pre-heats, the muffins will be thawed and warmed. 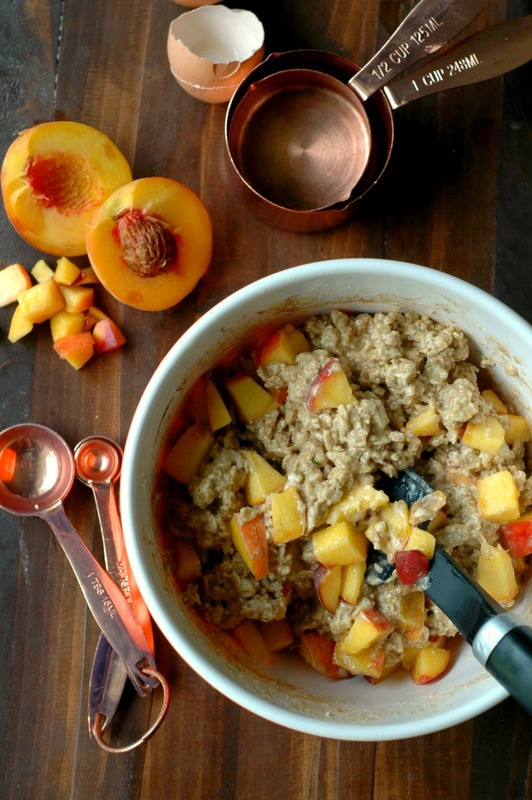 Portable, healthy, on-the-go gluten-free peaches and cream oatmeal! In a small mixing bowl beat the eggs and honey for 1 minute until frothy. Add this to the oat/flour mixture that soaked overnight, along with the oil, vanilla, cinnamon, baking powder, baking soda, and sea salt. Stir to combine (this takes a minute and some muscle at first as the oat/flour/milk soaked mixture is a bit thick – do NOT add more liquid. It will loosen up and the peaches will add a lot of moisture. 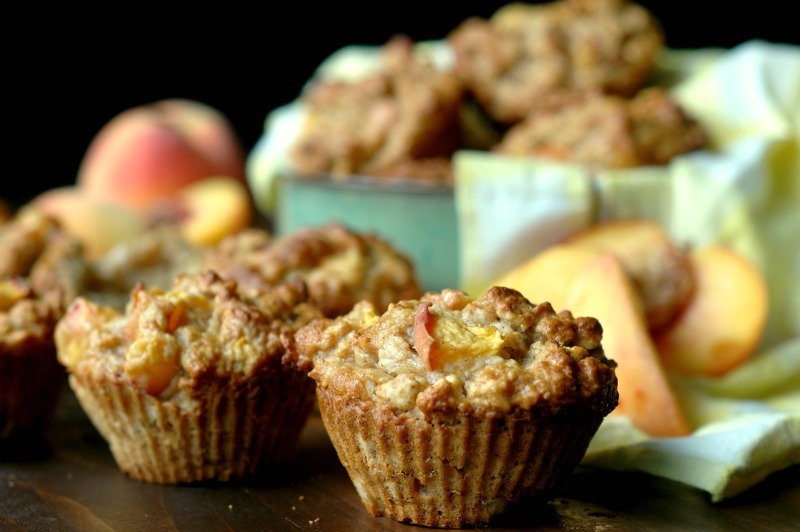 Fold in the diced peaches, and scoop the batter into a muffin tin lined with silicone muffin cups (or, if you don’t have silicone muffin cups, you can butter your muffin tin to prevent sticking). Bake at 350 degrees for 35 minutes until the tops are golden brown (check them around the 30-minute mark in case our ovens run differently). Let the muffins cool 5 minutes in the pan before turning them out to a cooling rack for 10 minutes before eating. 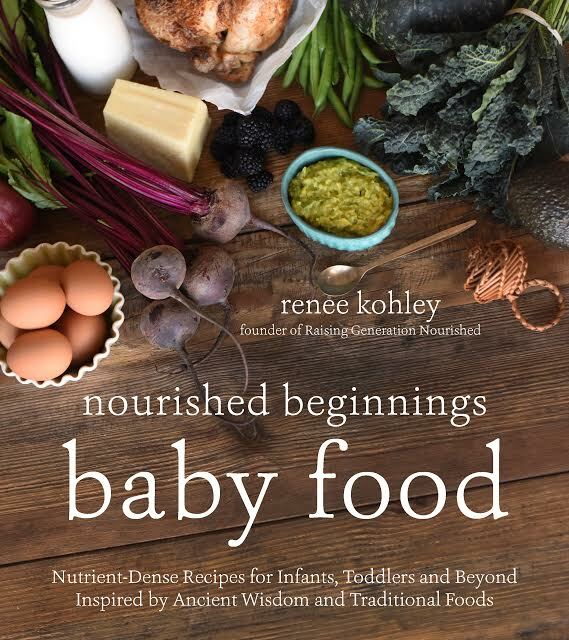 I can’t wait to try these, Renee! They look so good! In the instructions I think you forgot to mention when to mix in the oil. Hi Allison! Thank you for catching that! It is fixed! Wondering if you could thaw some frozen peaches and use them in the recipe instead?? Hi Natalie! Yes I think that would work – just thaw and drain them first! 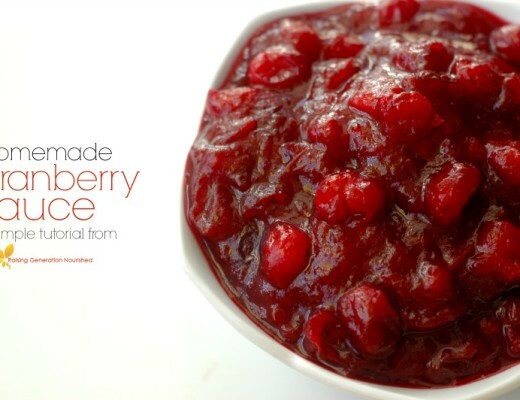 This is such a yummy idea! 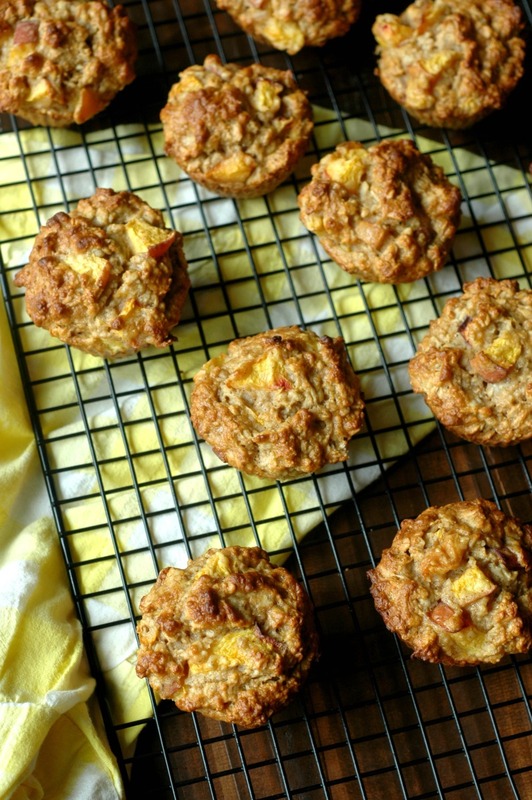 The perfect way to use up the summer peaches before they’re all gone. I wish I had some of these to greet me tomorrow morning. Yum! I made this in the summer with peaches and it was yummy! Then I made it this winter with persimmons and it was perhaps even better! Give it a try, it’s a fun seasonal swap. Oh that is so fun Nicole! Love that! These are my families favorite muffins! I love that they are an easy way to get properly prepared grains in. We switch up the fruit with the season but our favorite is with raspberries. 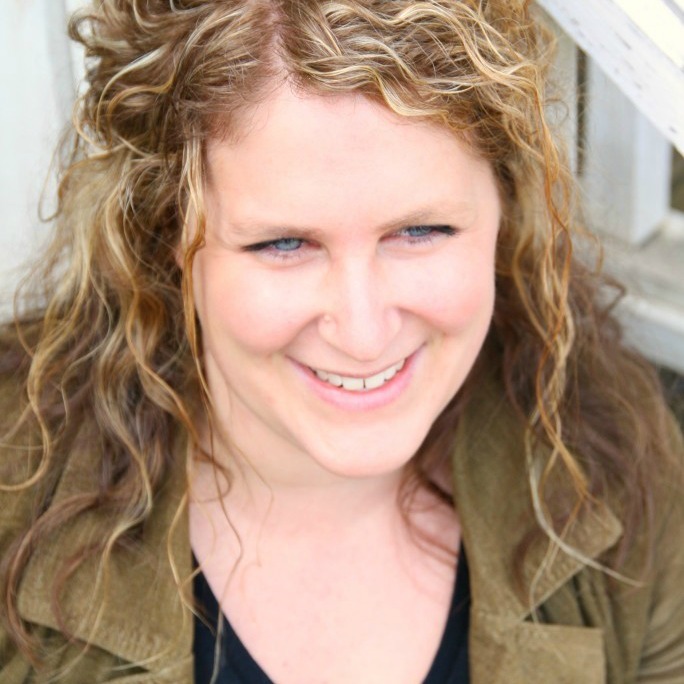 Thank you Renee for all of your work in keeping our families healthy! Raspberries sounds amazing! Thank you for sharing – I’m so glad you have a staple for the breakfast table! I made these muffins this morning. I thought they were great! I have a hard time with gluten free baking. The taste usually just isn’t worth it for me. I was shocked at the texture. So good! I didn’t have cassava on hand so I used 1/3 of almond flour, coconut flour and garbanzo flour. I also added 3 scoops of collagen powder. I”m glad you enjoyed them Monica!